An expert in the Creative Interchange process, Patricia Moten Marshall serves as consultant to senior executives, top management and boards of directors throughout the United States. Pat attained a first-hand awareness of the challenge change poses for organizations as former Hospital Director for the Loyola University Medical Center, Chief Operating Officer for Saint Joseph Hospital and Healthcare Centers, and Vice President for the Lutheran General Health System. In 1996, she was chosen as Healthcare Executive of the Year by the Chicago Chapter of the National Association of Health Services Executives, and chosen for the Crain's Chicago Business Who's Who in Business list. Pat was accountable for leading organizations through cultural alignment, quality improvement, restructuring and reengineering, implementation of customer focused delivery systems, revenue enhancement strategies, cost reduction activities, and building design, construction and renovation projects. Today, Pat's consulting practice builds on her leadership experiences to help organizations foster culture change, enhance diversity, and engage the creative capacity of individuals and teams. She is a creative thinker, an accomplished presenter, an engaging speaker and a skillful facilitator. Pat has an undergraduate degree from Kansas University, and a master's degree in hospital administration from St. Louis University. She serves as an adjunct faculty member for the Lake Forest Graduate School of Management and Loyola University Chicago. Pat founded SynerChange Chicago in 1996. Click here for more on SynerChange Chicago history. Joining SynerChange Chicago in early 2004, Adam Shames (rhymes with "promise") serves as a consultant and creative catalyst for companies, organizations, schools and individuals. He has guided hundreds of groups through the teambuilding and creative process since founding the Kreativity Network (formerly based in San Francisco) more than a decade ago. With expertise in creativity and innovation, diversity issues, adult learning and team collaboration, Adam is a versatile facilitator, dynamic speaker, FourSight certified trainer, writer, musician and coach. 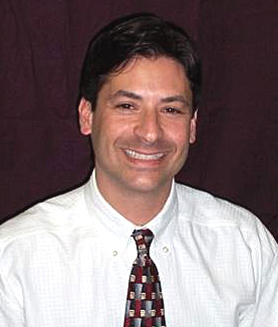 He is also a former "Teacher of the Year" with a master's degree in education from Stanford University. Clients have included Accenture, McDonald's, McKessonHBOC and the Chicago Public Schools. For more on Adam and the Kreativity Network, see www.kreativity.net. 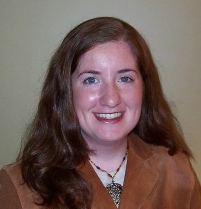 Since 2003, Mitzi Norton has managed the office of SynerChange Chicago. She oversees the communication network within SynerChange Chicago, participates in most every project, and is the assistant to Patricia Moten Marshall. Mitzi is the first point of contact with SynerChange Chicago and often takes part in executive decisions concerning business operations and future strategic initiatives of the firm. She spends her days coordinating and attending meetings, preparing presentations, and managing schedules. Mitzi possesses a sixth sense about how things are run at SynerChange Chicago. Mitzi has an undergraduate degree in psychology from Creighton University, and an associate's degree in applied science from the Harrington Institute of Interior Design. 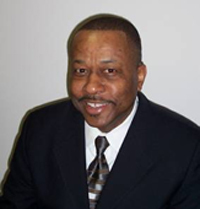 An experienced sales and marketing professional, Reggie services current clients and leads SynerChange Chicago business development and marketing efforts. He has worked with several Fortune 500 companies, receiving top honors as regional salesman of the year and consistently achieving President Millionaire Club status. Reggie has also owned and operated his own franchise business and most recently has been an independent marketing representative for medical product companies, selling to hospitals and home healthcare facilities. Reggie received a B.S. in Business Administration and Marketing from Central State University, Ohio.